A “LAMP” is a group of open source software that is typically installed together to configure a server with multiple host websites and web pages. This term is used to represents the Linux ,Apache,Mysql,PHP. Lamp Represents Linux operating system with the Apache web server and hosted site data is stored in a MySQL database and dynamic content is processed by PHP. In this guide, we’ll get a LAMP stack installed on an Ubuntu 12.04 and above. Where Ubuntu is an Linux Operating System which cover first requirement of LAMP Stack. There are different ways of installing packages/software in Linux Operating System from package manager, from Source, using binary files. 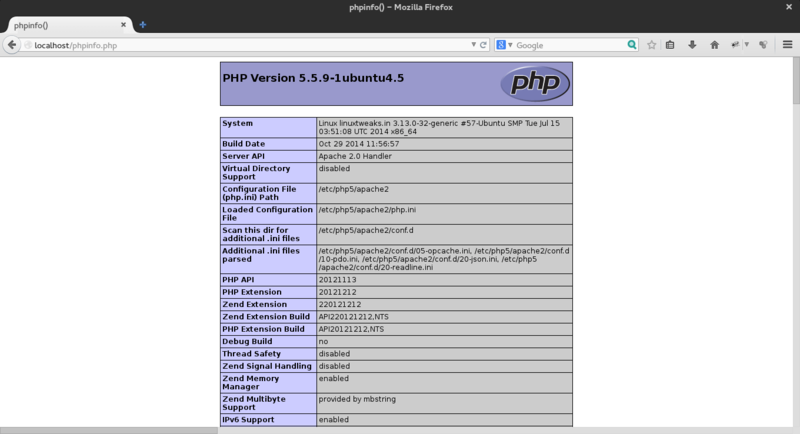 Here we will cover of Install Apache, MySQL, PHP (LAMP) steps using Ubuntu Package Manager,apt. A package manager allows us to install most software pain-free from a repository maintained by Ubuntu. Currently there are two type of web server are commonly uses which is Nginx and Apache. The Apache web server is currently the most popular web server in the world, which makes it a great default choice for hosting a website.Where as Nginx use like a proxy server in front of Apache Web Server. First update ubuntu repositories by giving the below command which will update ubuntu repos if there would be any new repo added in it. Now, apache2 server has been installed, verify your apache2 server status by running the following command. Apache2 is running (pid xxxx). You can check right away to verify that everything in working condition by visiting your Lan Ip or server’s public IP address in your web browser. Open your web browser and navigate to http://localhost/or http://server-ip-address/. We have our web server up and running now it’s time to install MySQL for organizing our website information and provide access to database with their stored information. Install Mysql server by typing the below command in terminal . This command will install mysql-server and mysql-client along with dependencies . During the installation, your server will ask you to enter password for the MySQL “root” user and confirm it. This is an administrative account in MySQL that has full privileges. This is similar as root user account of Linux Operating System Server itself. When the installation is complete, We can verify our mysql server Status by following command. if output as follows that means mysql server is in working situation. Our next task is to setup database directory strucuture and mysql environment setup securely. Our Mysql server is installed and running but our major concern should be to secure also so we have to check the security of mysql server and set it up.This script remove default access permission and checking for root password security. Note:- Default setup will disable mysql root logins from remote location. Now your Database Server is setup and running. Now we can move to our dynamic content access for our web stores. PHP process process code to display dynamic content on our web store. It can run scripts, connect to our MySQL databases to get information, and hand the processed content over to our web server to display. It will Install PHP in our server. Now we need to restart our web server for enable it with live server. And create a sample file in your apache2 root directory as follow. 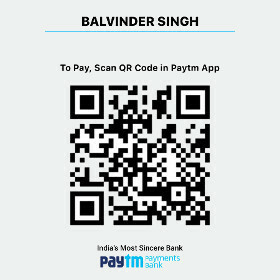 And type the following code. This will display all the details about php version and so on. and navigate http://localhost/ or http://server-ip-address/ . 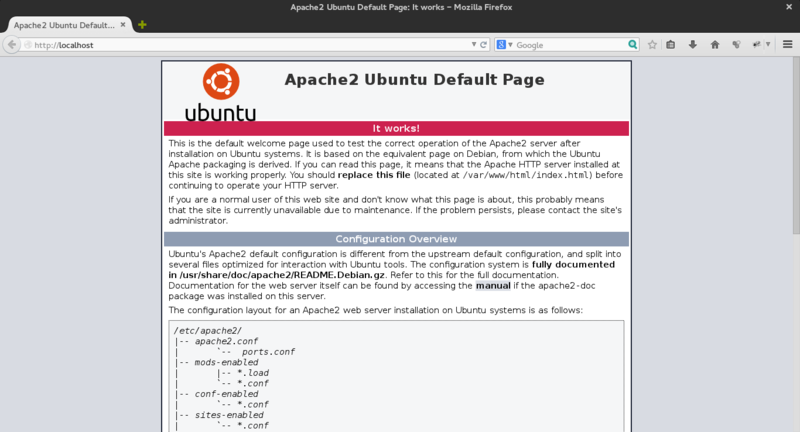 If it shows a default apache Installation page that means index.php is not set as default directory index. In that cases, we’ll want to modify the way that Apache serves files when a directory is requested. Currently, if a user requests a directory from the server,Apache first look for a file called index.html and if it's not there then next it goes to index.php file. We want to tell our web server to prefer PHP files, so we’ll make Apache look for an index.php file first. Now all are set with LAMP stack installed and setup, you have many choices for what to do next. Basically, you have to install some CMS like Joomla,Wordpress, Magento and their required modules for PHP and Apache.